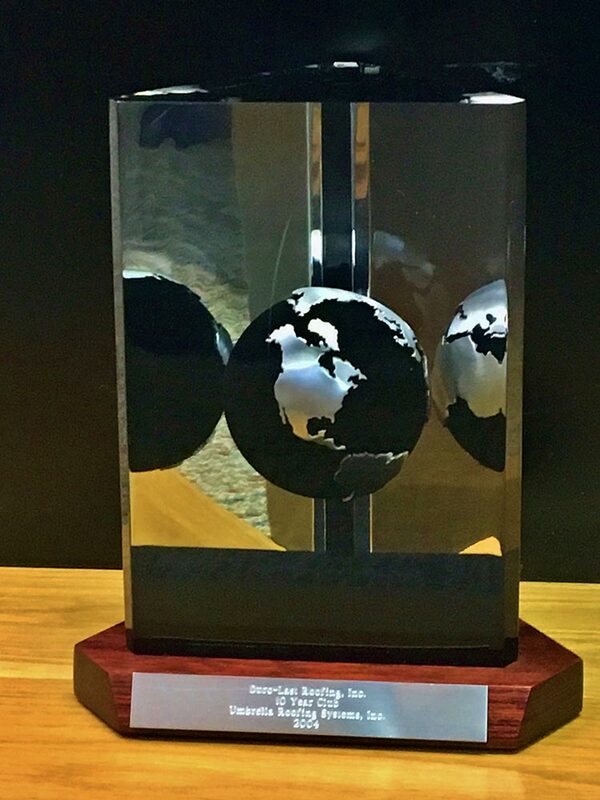 Since it’s inception in 1992, Umbrella Roofing Systems, Inc. has consistently been an award-winning roofing contractor. 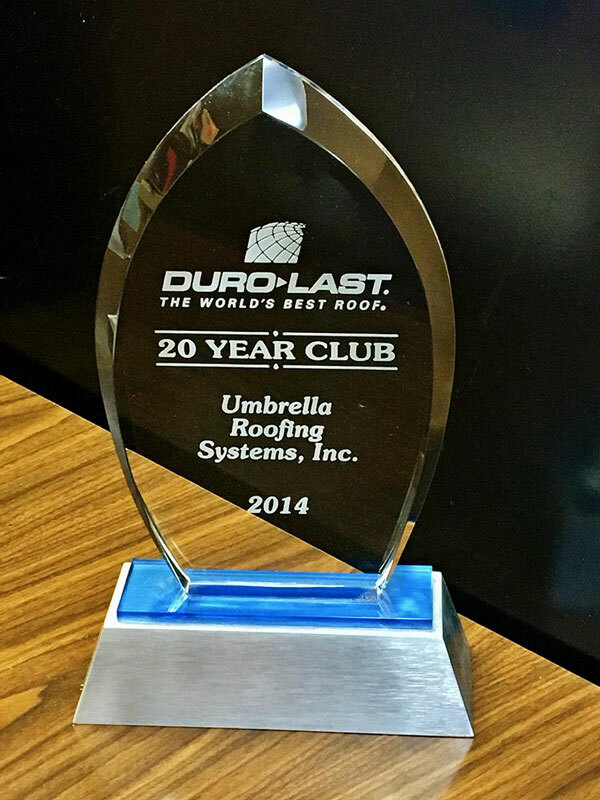 These highly coveted awards have recognized Umbrella Roofing Systems, Inc. as one of the elite roofers for Duro-Last Roofing among all it’s commercial roofing contractors in the United States. Umbrellas Roofing Systems, Inc. is proudly recognized as having a strong record of Duro-Last sales and consistently installing the Duro-Last Roofing system with an exceptional attention to quality.